This Saturday marks 4 years since I walked through the door at FA Boxing for a free trial. Most of you know me as the face of the front desk, but I started as, and continue to be a client at FA Boxing. 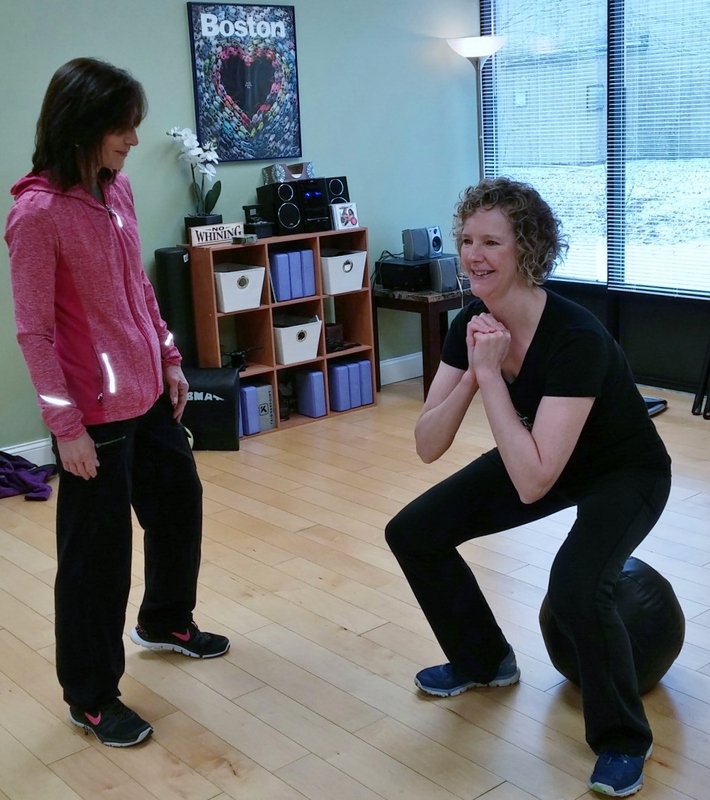 In January 2014, I was a 47-year-old woman who while slender, was not strong. I walked every day for exercise, and did yoga 1 to 2 times per week. I also had a gym membership that I rarely used. Mostly because I had no idea how to go about putting together a strength and conditioning workout. And, when I did do strength exercises, I wasn’t pushing myself beyond comfort, so I wasn’t seeing results. 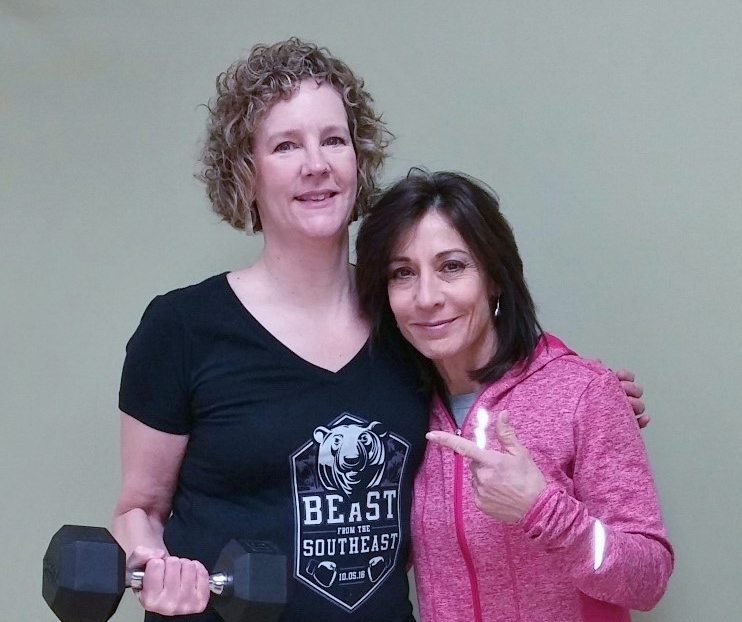 I was seeking a personal trainer to help me with the specific goal of strengthen my body to keep my scoliosis from becoming a problem as I age. I also just wanted to stand up straighter. FA Boxing was the 3rd personal training studio I had visited. I liked the look of the place right away. Never one who enjoyed a traditional gym, the industrial look of the FA space seemed cool and different. My vision wasn’t overwhelmed with rows and rows of treadmills and elliptical machines, and strange looking weight machines. The space was simple, but functional. One open room with strength and conditioning equipment, and the boxing room. I loved the ring and the bags hanging from the ceiling. Wow, this could be exciting! The greeting I received was friendly and welcoming. Kathy and Sione couldn’t have been any more approachable. They made me comfortable right away. I was fascinated watching Kathy wrap up my hands. I put on my gloves, and haven’t looked back. In addition to feeling excitement and energy when I hit the bag that day, there is one other feeling that I clearly recall – the feeling of being supported. After I boxed on a bag, Kathy a had me do a few simple strength exercises. One stands out – squatting down onto a medicine ball. I was shocked and surprised that I didn’t have the leg strength to stand back up! Kathy didn’t judge me or criticize me. She simply had me squat onto the side of a tractor tire, and then stand up. That simple adjustment kept me going. Now I can squat, squat jump, wall sit, step up on a box, do lunges…and yes, stand up straighter. 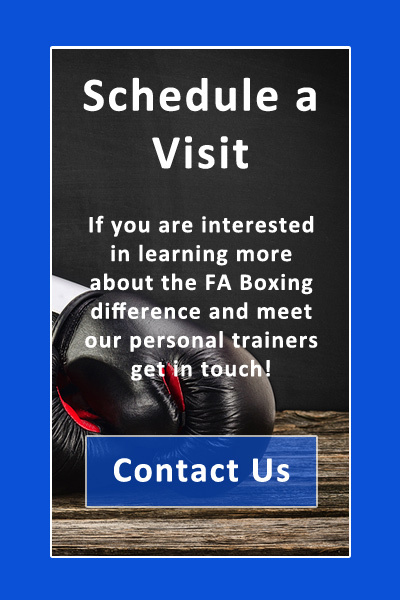 My point is, we all must start somewhere; and the FA Boxing trainers will support you the minute you walk through the door, meet you where you are at, and support you as you build from your starting point. Just walk through the door. I promise that will be the hardest step in your journey to get fit.